Seems that our obsessions are often supported by our significant others (in my case, enabling is a better way to describe my wife's tolerance for my watch obsession). 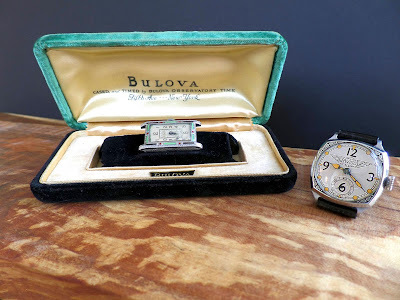 But in this blog, my wife and I having celebrated our wedding anniversary recently, it's apparent that our "Celebration of Time" with the exchange of watches on our anniversary this past month seems more like love than anything else. She is after all the light of my life. The morning of our anniversary we both surprised each other with two great watches. 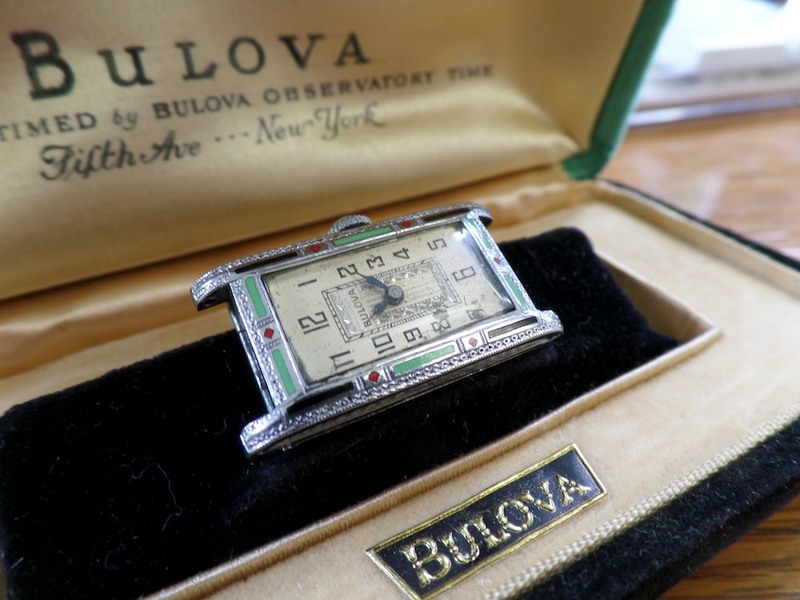 A 1928 Bulova "Miss America" with a vintage watch box for her and a 1931 Elgin "Avigo" for him. Our Anniversary Gifts for Each Other. 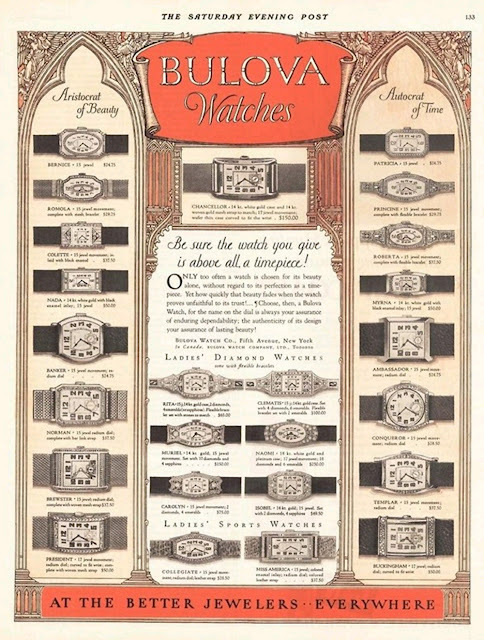 The 1928 Bulova Miss America was marketed as a ladies "sports" model. The sports model was supplied with a leather strap as opposed to a silk grosgrain ribbon with clasp. A grosgrain ribbon strap was more typical of women's watches of the era. My wife's Miss America below is awaiting a special leather strap. The watch was produced through the 1930s and prior to 1928 the watch was marketed as a "Vassar"; seems the model name was simply a marketing decision as the two watches are identical. The Miss America watch above features a beautiful intricate designed dial (watch face) along with coloured enamel and filagree work around the watch case. During the late 1920s and 1930s aviation was beginning to peak the interest of the public and aircraft flight was a new exciting transportation wonder. 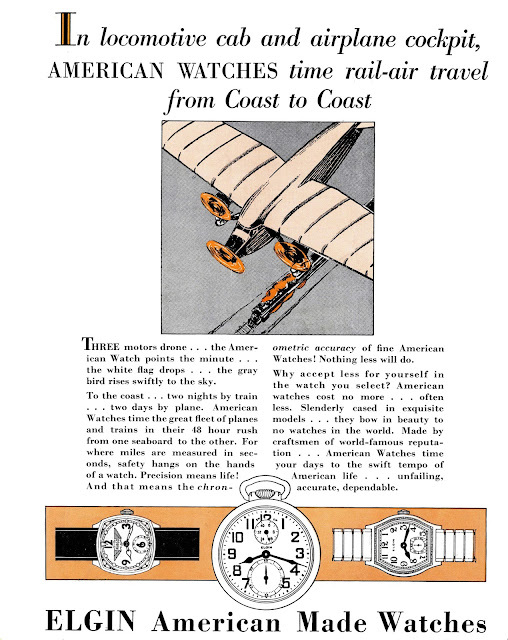 In recognition of the growing interest in aviation at this time, Elgin Watch Co., like many watch manufacturers of the day, began producing and marketing watches related to air travel. 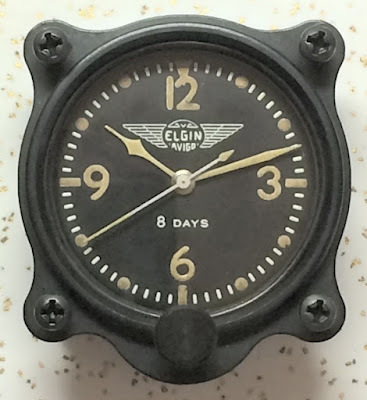 The Elgin Avigo is a product of that era. 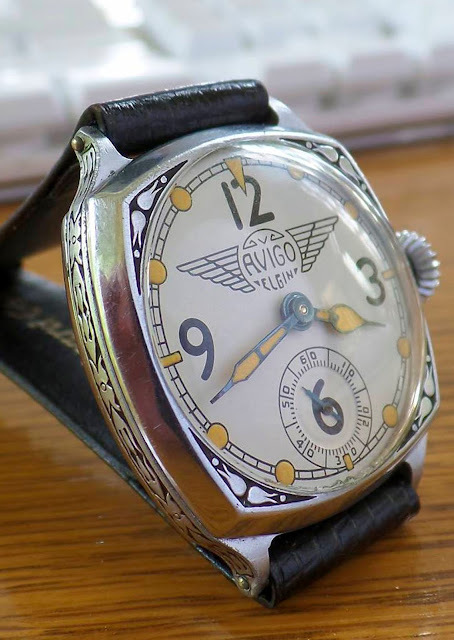 The Avigo above is a great example of design during this era not only reflecting aviation but also with the embellishments of black enamel and engraved filagree on the watch case. 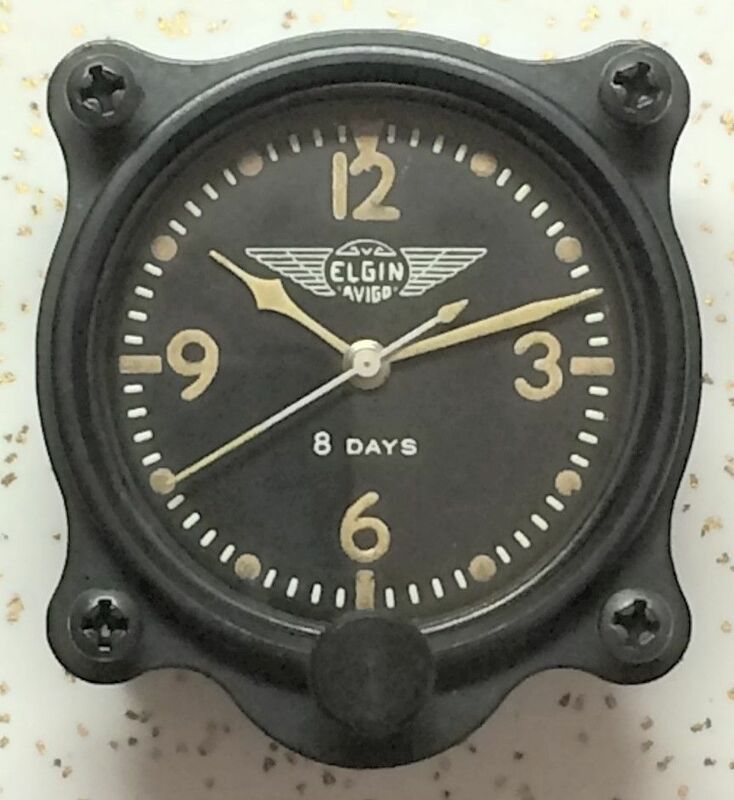 The Elgin Avigo watch dial (the face of the watch) was also designed to resemble an Elgin aircraft instrument clock like the vintage one below they manufactured during the same period. A happy anniversary to my wife, I love you very much.